What are soul groups? What is the spirit world? What lies in the mysterious realm of life between lives? Do our past lives really catch up with us in the present? 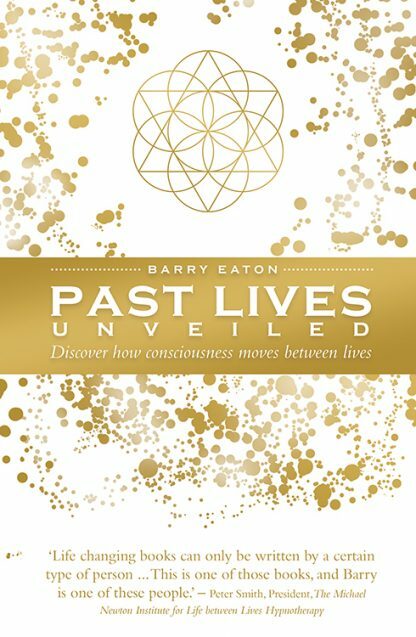 Past Lives Unveiled, the third book in the trilogy written by Barry Eaton, takes a fresh, new look at past lives and reincarnation. It features some highly unusual case studies, including two previously unpublished hypnotic regressions by eminent psychologist, author, and past-life expert Dr. Michael Newton. Two sisters were regressed independently by Dr. Newton and went back to a life in a Stone Age tribe. This book will reveal details of these regressions to the public for the first time. The author also includes details of his own regression by Peter Smith, a past-life expert and president of the Newton Institute. His graphic visitations to ancient Greece and to the United States at the time of the Civil War make for absorbing reading. Barry Eaton is a qualified astrologer, medium, and psychic intuitive, who shares his musings on the spirit world through his interactive internet radio station "Radio Out There". He studied mediumship at the Arthur Findlay College in the UK and has written numerous feature stories for magazines and newspapers on astrology, travel, and spirituality. His first book Afterlife is a classic amongst spiritual readers across the world.